The Augusta center, where hundreds of residents escape from the cold and socialize, opens for the winter in a location that is for sale. 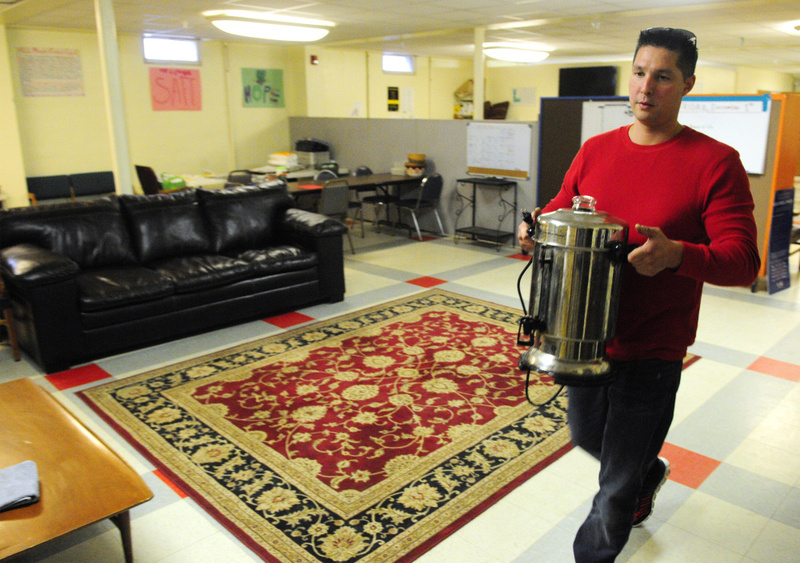 AUGUSTA — The Augusta Community Warming Center opens for the season Friday to provide shelter and socializing in a familiar spot, though it’s for sale. Officials of the daytime warming center where every winter hundreds of local residents gather to escape from the cold, connect with services, or just have coffee with friends had hoped to be in a new home by now because, among other reasons, its current site – the St. Mark’s Parish Hall – is for sale. But despite looking at nine potential new locations in Augusta over the last several months, leaders of Bridging the Gap, the parent organization of the warming center, and Addie’s Attic clothing bank and Everyday Basics Essentials Pantry have been unable to find a new, long-term home for those services. While they continue to look for a new location, with the temperature falling and the need for people to have a warm place to spend the day remaining, the group’s focus is now on opening the shelter and continuing to operate the clothing and essential items pantry at the site it has called home in recent years, the lower level of the St. Mark’s Parish Hall, at 9 Pleasant Street. Miller estimated the warming center, the clothing bank and the essentials pantry together served about 3,500 people over the last year. The Augusta Community Warming Center will be open seven days a week, from 9 a.m. to 4 p.m., from Dec. 1 to March 31, 2018. Last winter the warming center had 3,800 sign-ins. Its visitors sign in each time they go there. The St. Mark’s Episcopal Church property, where Bridging the Gap’s services are located, was put up for sale by the former church in 2016. Officials said maintaining the aging facility was too costly. St. Mark’s parishioners have joined with the Prince of Peace Lutheran Church’s congregation to form a new church, Emmanuel Lutheran Episcopal church, which has services at 209 Eastern Ave.
City officials have said the social services provided by the warming center, the clothing bank and the essentials pantry cannot continue to be provided long-term at the St. Mark’s site because city zoning rules don’t allow those services in that zone. Miller said Bridging the Gap is under no formal order from the city to move and said the group tried its best to relocate but hasn’t been able to find a suitable, attainable site. Liz Burgess, vice president of Emmanuel’s congregation council and a co-coordinator of the essentials pantry, said the ideal new location for Bridging the Gap’s combined services would have more than 4,000 square feet, would be accessible to people with disabilities, and would be in the central part of the city within walking distance of other services such as the Bread of Life soup kitchen. Bridging the Gap and the warming center’s services are funded by numerous sources, including multiple local church congregations, income from an endowment of about $600,000 made up of the proceeds of the sale of St. Mark’s Home, individuals, businesses, and funded by the United Way of Kennebec Valley as a partner agency. Bridging the Gap has a website and a Facebook page, and it may be reached by email at [email protected] or by phone at 248-1782.